That's exactly the kind of distrust the trollers of Maine politicians are looking to sow. It had to happen. There’s trouble in the peanut gallery. On Thursday, Portland Press Herald Staff Writer Noel Gallagher posted a disturbing, albeit not all that surprising, story about Russian trolls and, among others, Sen. Susan Collins. 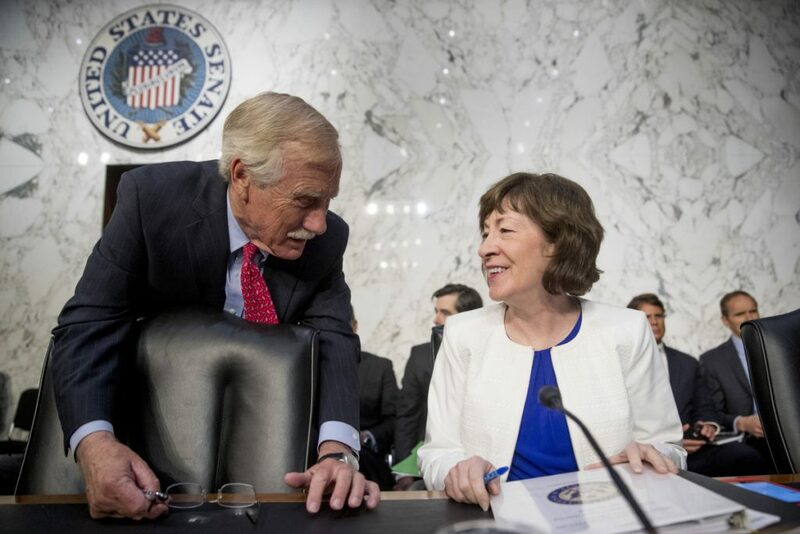 Based on a deep dive into a database of nearly 3 million tweets spawned by Russia’s Internet Research Agency, the story reported that Collins leads the pack when it comes to Maine politicians targeted by Russian trolls posing as Americans with – how do you say – strong opinions. Collins attracted 261 bogus tweets, most centered on last summer’s battle to deep-six the Affordable Care Act. Gov. Paul LePage was a distant second with 44 tweets, followed by Sen. Angus King with 23. Reaching the bottom of the story, I saw the customary link to reader comments, which by Friday had ballooned to 158 comments and counting. Hmmm … whatever might they be talking about? This is hardly the first time I’ve wondered how many reader commenters out there never leave their basements, or hastily deny a health insurance claim on their office computer so they can click their split screen and get back to the truly important stuff. But these Russia revelations add a whole new level of intrigue, dare I say paranoia, to the virtual public square. Here at the Portland Press Herald/Maine Sunday Telegram, the cost of admission to the reader forums is relatively low: You set up a profile on Disqus, a comment hosting service that requires a social media account or email address, promise to abide by the rules and, bingo, you’re in. Heck, you can even be a Russian. As Katherine Lee, our website editor, explained to me on Friday, our human moderators will judge you by your online behavior, not your nation of origin. Fair enough. Still, you can’t be too careful. Or vigilant. I see three possibilities here. The first is that none of our reader commenters are working directly on behalf of Vladimir Putin. Lee, for the record, agrees with this one on the grounds that the future of our democracy likely doesn’t hinge on the tenor of the Portland Press Herald’s reader comment forums. Good point – if you’re looking to fry Susan Collins, you’re better off firing up your Twitter account. The second possibility is that one or two Russian trolls have, on occasion, snuck under our tent to lambaste Collins as a RINO (Republican In Name Only) or praise LePage for having the good sense to stay at the Trump International Hotel a few blocks from the White House. My third theory? They’re all Russian trolls. Every last one of them. And as they bombard one another with insults, non sequiturs and the occasional false metaphor, they’re clueless that it’s actually a circular firing squad. I didn’t even test that one on Lee, it being a Friday afternoon and all. The painful reality is the Russian gambit has already worked, whether they’re chiming in on this website or not. The mere possibility that so-and-so might be a Putin-sanctioned buttinski already has our stable of reader commenters – or at least the frequent fliers – pointing fingers, calling one another out and exhibiting all the other anxieties that were the Kremlin’s disinformation goals in the first place. In other words, folks, they’re playing us like fiddles. The more we see red behind this or that anonymous online diatribe, the more discordant we become. As the comment thread under Thursday’s Russian troll story chugged along into the weekend, a few posters voiced their worry about all the strangers suddenly joining the discussion. People clearly from away – wherever that is in cyberspace.